9 W. Walton - Chicago's Premier Project in 2017 - Caldwell Plumbing Co., Inc.
Caldwell Plumbing is a family-owned commercial plumbing company delivering expert commercial, industrial and residential plumbing solutions to diverse clients throughout the Chicagoland area. 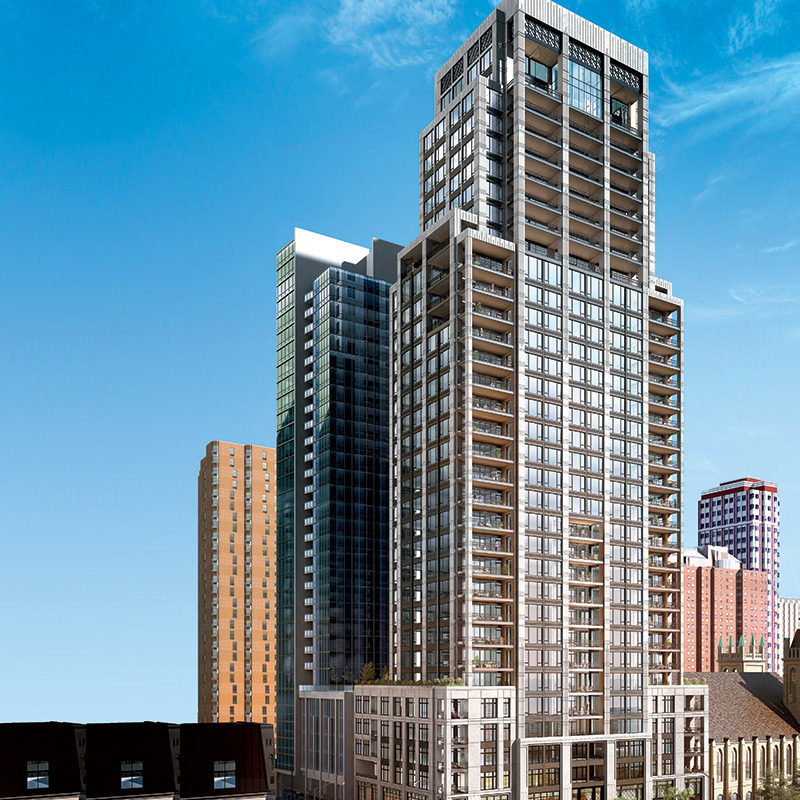 With a growing business in condo development in downtown Chicago, Caldwell partnered with Porter Pipe to streamline its estimating, ordering, delivery and material handling for No. 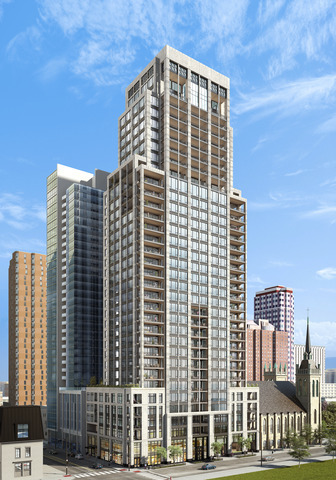 9 Walton, an upscale condominium development in downtown Chicago. The collaboration has resulted in a significant reduction in man-hours, which translates to both budgetary and timeline savings for Caldwell Plumbing. Founded in 1973, Caldwell Plumbing has more than 40 years of professional experience serving clients with plumbing needs across commercial, industrial and residential projects. The $20 Million business represents Plumbers Union Local 130, employing more than 50 plumbers to manage all aspects of projects from AutoCAD drawings to BIM coordination. Caldwell Plumbing’s latest project is managing complete plumbing work for No. 9 Walton, a luxury high-rise condominium building in downtown Chicago. 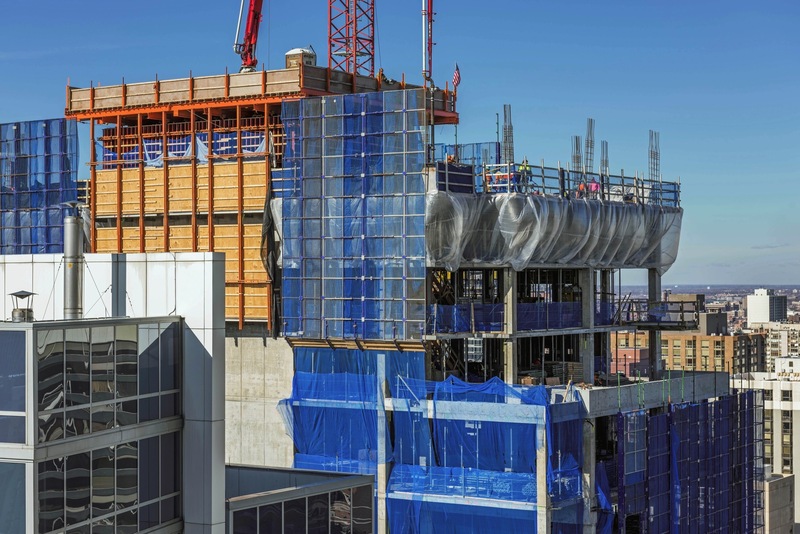 Currently, only 25% complete, the 66-unit building features two to five bedroom homes with high-end finishes and amenities that include an indoor pool, sauna, hot tub and steam room. Over the past 10 years, Caldwell Plumbing has expanded its commercial and industrial plumbing business to be competitive in the residential and condominium development boom in the Chicago market and growth in modern assisted living facilities in Chicago’s western suburbs. Caldwell’s service promise is to deliver quality work on time and under budget. As it grows, Caldwell has sought out a supplier partner who can play a role in this service promise, smoothing its supply chain, ensuring reliable fill rates and assisting with timeliness, budgeting, productivity, and safety. For one of its major projects of 2017, the full-scale development of luxury condominium high rise No. 9 Walton, Caldwell awarded its supply contract to Porter Pipe & Supply. The decision was based on Porter Pipe’s comprehensive and service-minded expertise in managing many aspects of Caldwell’s supply needs. For this project, Caldwell utilized Porter Pipe’s F.A.S.T.-Pak delivery system, which stands for fast, accurate, safe and tailored, boom trucks for lifting inventory to higher floors and field services tools such as charlie carts, GDV carts, and mill baskets lend efficiency and safety to its material handling needs. Partnering with Porter Pipe on No. 9 Walton has helped Caldwell Plumbing make vital strides in efficiency and cost savings. The most notable difference makers are F.A.S.T.-Pak and field service tools. Porter Pipe’s custom packaging saved Caldwell an average of one hour per delivery, totaling an estimated 150+ man hours saved over the project’s duration. “It’s very convenient and saves time when our plumbers don’t have to sort through boxes to find what they need. This system has helped our time savings tremendously,” says Caldwell Vice President Mike Tenerelli. Having field service tools like charlie carts, GDV carts and mill baskets on site also contributed to Caldwell’s efficiency and helped ensure there were zero injuries during No. 9 Walton’s development. These tools played a key role in helping plumbers transport inventory quickly without the risk of harm. “When materials are off the floor and can be stacked or rolled, it saves time and money, and we are injury free,” Tenerelli adds. Cumulatively, Caldwell Plumbing is very satisfied with its Porter Pipe partnership and how it contributed to productivity, budgetary and timeline savings throughout the entire project.